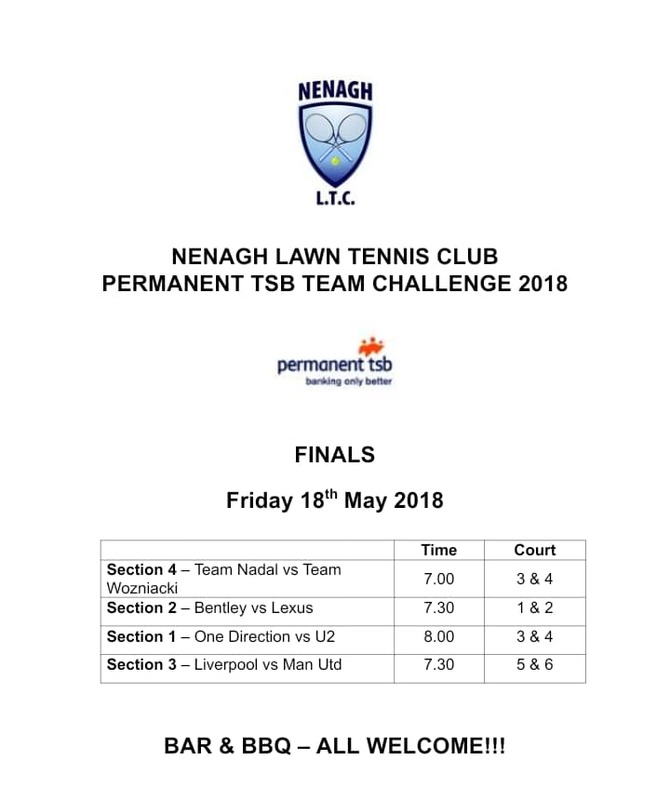 Following on from some thrilling tennis in last nights semi-finals, the last evening of the competition promises to be equally as thrilling as the final teams do battle!! The first final kicks off at 7.00pm. The bar will be open and the BBQ will be sizzling. Many thanks again to the competition sponsors Permanent TSB.